“Empire” returns from its fifth season’s winter hiatus tomorrow night with an episode that includes the recently-indicted Jussie Smollett. 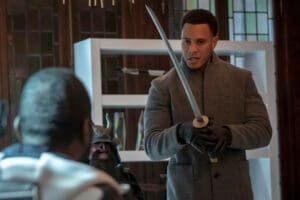 But you might not know that if you were to look at the promo photos from the midseason premiere episode, which Fox recently posted to its press site, ’cause Jamal (Smollett) isn’t in a single one of them. And the hip-hop soap opera’s third lead is not in the shots for the following two episodes either. Smollett — who plays the openly gay middle son of Cookie (Taraji P. Henson) and Lucious (Terrence Howard) — is absent from all 38 production stills that are currently available to media from Episode 510, 511, and 512. However, the other regular cast members, including Howard, Henson, Bryshere Y. Gray, Trai Byers, Nicole Ari Parker, Gabourey Sidibe and even Season 5 newcomer A.Z. Kelsey, are all present and accounted for to some degree in the photos. For the sake of comparison, Lucious/Howard is in 11 of the 38 promotional pics, Cookie/Henson is in 10, Hakeem/Gray is in four and Andre/Byers is in six. Hell, Andre Royo’s character Thirsty Rawlings is in five of them. 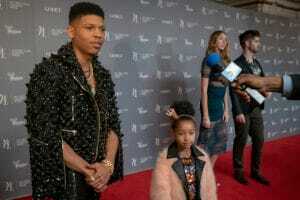 “Empire” executive producers announced last month that they had decided to cut Smollett from the final two episodes of the Fox hip hop drama’s current season, following his arrest on the charge of filing a false police report. 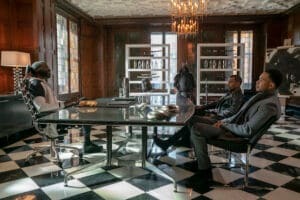 But since he hasn’t been cut from the ones that were already in the can prior to that decision, his absence from the promo photos for the first three episodes of “Empire’s” midseason return is quite noticeable. 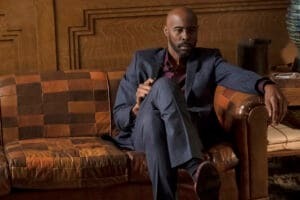 TheWrap has already seen an advanced press screener of the premiere and can say — without giving away any spoilers — that Jamal is featured prominently in the episode. Fox declined TheWrap’s request for comment for this story. Smollett was indicted on 16 felony counts of disorderly conduct for making a false report by a Chicago grand jury last Friday. 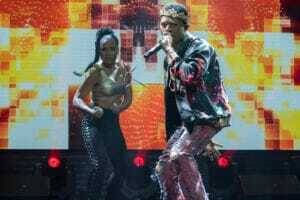 He is set to appear in court this Thursday. See the promo photos from 510, 511 and 512 below. EMPIRE: L-R: Terrence Howard and Taraji P. Henson in the “My Fault is Past” spring premiere episode of EMPIRE airing Wednesday, March 13 (8:00-9:00 PM ET/PT) on FOX. @2019 Fox Broadcasting Co. CR: Chuck Hodes/FOX. EMPIRE: L-R: Guest star Wood Harris in the “Shift and Save Yourself” episode of EMPIRE airing Wednesday, March 27 (8:00-9:00 PM ET/PT) on FOX. @2019 Fox Broadcasting Co. CR: Chuck Hodes/FOX. EMPIRE: L-R: Andre Royo and guest star Liza Lapira in the “Shift and Save Yourself” episode of EMPIRE airing Wednesday, March 27 (8:00-9:00 PM ET/PT) on FOX. @2019 Fox Broadcasting Co. CR: Chuck Hodes/FOX. EMPIRE: L-R: Terrence Howard and A.Z. Kelsey in the “My Fault is Past” spring premiere episode of EMPIRE airing Wednesday, March 13 (8:00-9:00 PM ET/PT) on FOX. @2019 Fox Broadcasting Co. CR: Chuck Hodes/FOX. EMPIRE: Bryshere Y. Gray in the “My Fault is Past” spring premiere episode of EMPIRE airing Wednesday, March 13 (8:00-9:00 PM ET/PT) on FOX. @2019 Fox Broadcasting Co. CR: Chuck Hodes/FOX. 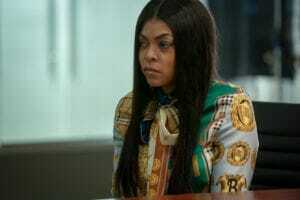 EMPIRE: Taraji P. Henson in the “Shift and Save Yourself” episode of EMPIRE airing Wednesday, March 27 (8:00-9:00 PM ET/PT) on FOX. @2019 Fox Broadcasting Co. CR: Chuck Hodes/FOX. EMPIRE: L-R: Trai Byers and guest star Meta Golding in the “Shift and Save Yourself” episode of EMPIRE airing Wednesday, March 27 (8:00-9:00 PM ET/PT) on FOX. @2019 Fox Broadcasting Co. CR: Chuck Hodes/FOX. 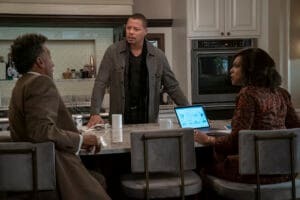 EMPIRE: L-R: Andre Royo, Terrence Howard and Taraji P. Henson in the “My Fault is Past” spring premiere episode of EMPIRE airing Wednesday, March 13 (8:00-9:00 PM ET/PT) on FOX. @2019 Fox Broadcasting Co. CR: Chuck Hodes/FOX. EMPIRE: L-R: Nicole Ari Parker and A.Z. 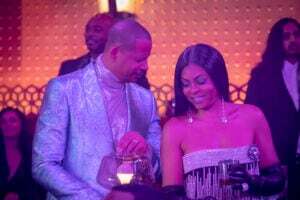 Kelsey in the “Shift and Save Yourself” episode of EMPIRE airing Wednesday, March 27 (8:00-9:00 PM ET/PT) on FOX. @2019 Fox Broadcasting Co. CR: Chuck Hodes/FOX. 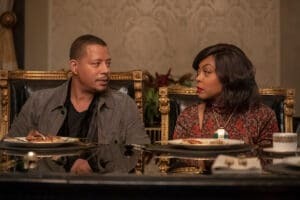 EMPIRE: L-R: Taraji P. Henson and Terrence Howard in the “Shift and Save Yourself” episode of EMPIRE airing Wednesday, March 27 (8:00-9:00 PM ET/PT) on FOX. @2019 Fox Broadcasting Co. CR: Chuck Hodes/FOX. EMPIRE: L-R: Terrence Howard and Taraji P. Henson in the “Shift and Save Yourself” episode of EMPIRE airing Wednesday, March 27 (8:00-9:00 PM ET/PT) on FOX. @2019 Fox Broadcasting Co. CR: Chuck Hodes/FOX. 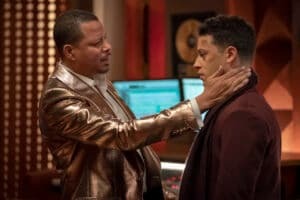 EMPIRE: Terrence Howard in the “Shift and Save Yourself” episode of EMPIRE airing Wednesday, March 27 (8:00-9:00 PM ET/PT) on FOX. @2019 Fox Broadcasting Co. CR: Chuck Hodes/FOX. EMPIRE: L-R: Rhyon Nicole Brown and Ta’Rhonda Jones in the “In Loving Virtue” episode of EMPIRE airing Wednesday, March 20 (8:00-9:00 PM ET/PT) on FOX. @2019 Fox Broadcasting Co. CR: Chuck Hodes/FOX. EMPIRE: Serayah in the “Shift and Save Yourself” episode of EMPIRE airing Wednesday, March 27 (8:00-9:00 PM ET/PT) on FOX. @2019 Fox Broadcasting Co. CR: Chuck Hodes/FOX. EMPIRE: L-R: Guest stars Liza Lapira and Wood Harris in the “Shift and Save Yourself” episode of EMPIRE airing Wednesday, March 27 (8:00-9:00 PM ET/PT) on FOX. @2019 Fox Broadcasting Co. CR: Chuck Hodes/FOX. 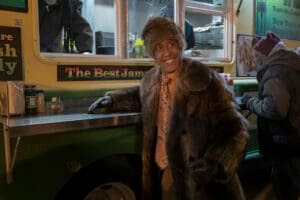 EMPIRE: Andre Royo in the “Shift and Save Yourself” episode of EMPIRE airing Wednesday, March 27 (8:00-9:00 PM ET/PT) on FOX. @2019 Fox Broadcasting Co. CR: Chuck Hodes/FOX. EMPIRE: L-R: Rhyon Nicole Brown and Bryshere Y. Gray in the “My Fault is Past” spring premiere episode of EMPIRE airing Wednesday, March 13 (8:00-9:00 PM ET/PT) on FOX. @2019 Fox Broadcasting Co. CR: Chuck Hodes/FOX. 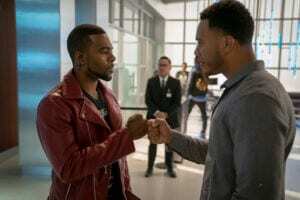 EMPIRE: L-R: Guest star Mario and Trai Byers in the “In Loving Virtue” episode of EMPIRE airing Wednesday, March 20 (8:00-9:00 PM ET/PT) on FOX. @2019 Fox Broadcasting Co. CR: Chuck Hodes/FOX. 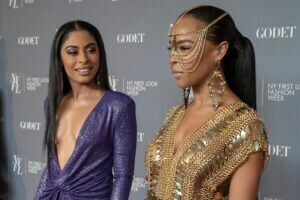 EMPIRE: L-R: Guest star Katlynn Simone and Serayah in the “In Loving Virtue” episode of EMPIRE airing Wednesday, March 20 (8:00-9:00 PM ET/PT) on FOX. @2019 Fox Broadcasting Co. CR: Chuck Hodes/FOX. EMPIRE: Bryshere Y. Gray in the “Shift and Save Yourself” episode of EMPIRE airing Wednesday, March 27 (8:00-9:00 PM ET/PT) on FOX. @2019 Fox Broadcasting Co. CR: Chuck Hodes/FOX. 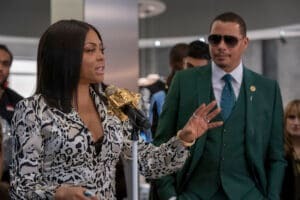 EMPIRE: L-R: Taraji P. Henson and Terrence Howard in the “My Fault is Past” spring premiere episode of EMPIRE airing Wednesday, March 13 (8:00-9:00 PM ET/PT) on FOX. @2019 Fox Broadcasting Co. CR: Chuck Hodes/FOX. EMPIRE: L-R: Taraji P. Henson and Rhyon Nicole Brown in the “In Loving Virtue” episode of EMPIRE airing Wednesday, March 20 (8:00-9:00 PM ET/PT) on FOX. @2019 Fox Broadcasting Co. CR: Chuck Hodes/FOX. 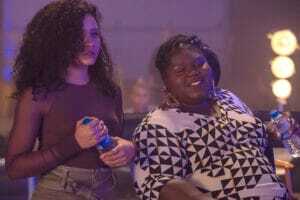 EMPIRE: L-R: Rhyon Nicole Brown and Gabourey Sidibe in the “Shift and Save Yourself” episode of EMPIRE airing Wednesday, March 27 (8:00-9:00 PM ET/PT) on FOX. @2019 Fox Broadcasting Co. CR: Chuck Hodes/FOX. EMPIRE: L-R: Trai Byers and guest star Meta Golding in the “My Fault is Past” spring premiere episode of EMPIRE airing Wednesday, March 13 (8:00-9:00 PM ET/PT) on FOX. @2019 Fox Broadcasting Co. CR: Chuck Hodes/FOX. EMPIRE: L-R: Guest star Alicia Coppola and Andre Royo in the “In Loving Virtue” episode of EMPIRE airing Wednesday, March 20 (8:00-9:00 PM ET/PT) on FOX. @2019 Fox Broadcasting Co. CR: Chuck Hodes/FOX. 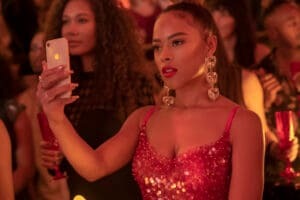 EMPIRE: Serayah in the “My Fault is Past” spring premiere episode of EMPIRE airing Wednesday, March 13 (8:00-9:00 PM ET/PT) on FOX. @2019 Fox Broadcasting Co. CR: Chuck Hodes/FOX. EMPIRE: Andre Royo in the “In Loving Virtue” episode of EMPIRE airing Wednesday, March 20 (8:00-9:00 PM ET/PT) on FOX. @2019 Fox Broadcasting Co. CR: Chuck Hodes/FOX. 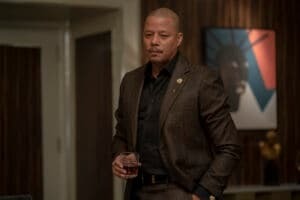 EMPIRE: Terrence Howard in the “My Fault is Past” spring premiere episode of EMPIRE airing Wednesday, March 13 (8:00-9:00 PM ET/PT) on FOX. @2019 Fox Broadcasting Co. CR: Chuck Hodes/FOX. 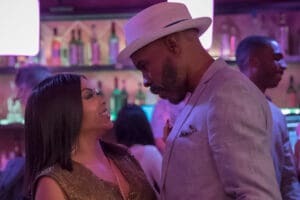 EMPIRE: L-R: Taraji P. Henson and guest star Wood Harris in the “In Loving Virtue” episode of EMPIRE airing Wednesday, March 20 (8:00-9:00 PM ET/PT) on FOX. @2019 Fox Broadcasting Co. CR: Chuck Hodes/FOX. 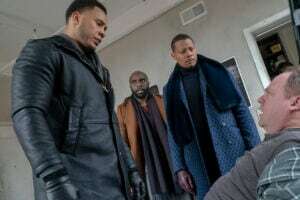 EMPIRE: L-R: Trai Byers, guest star Toby Onwumere, Terrence Howard and guest star Christopher Meister in the “My Fault is Past” spring premiere episode of EMPIRE airing Wednesday, March 13 (8:00-9:00 PM ET/PT) on FOX. @2019 Fox Broadcasting Co. CR: Chuck Hodes/FOX. EMPIRE: L-R: Bryshere Y. Gray and Bella Chanel in the “In Loving Virtue” episode of EMPIRE airing Wednesday, March 20 (8:00-9:00 PM ET/PT) on FOX. @2019 Fox Broadcasting Co. CR: Chuck Hodes/FOX. EMPIRE: Trai Byers in the “In Loving Virtue” episode of EMPIRE airing Wednesday, March 20 (8:00-9:00 PM ET/PT) on FOX. @2019 Fox Broadcasting Co. CR: Chuck Hodes/FOX. 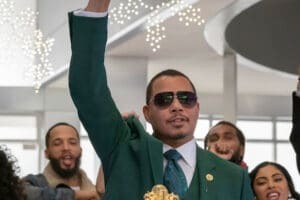 EMPIRE: L-R: Guest star Chike Johnson, Mario and Trai Byers in the “In Loving Virtue” episode of EMPIRE airing Wednesday, March 20 (8:00-9:00 PM ET/PT) on FOX. @2019 Fox Broadcasting Co. CR: Chuck Hodes/FOX. 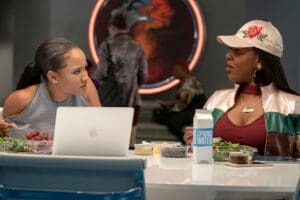 EMPIRE: L-R: Nicole Ari Parker and Gabourey Sidibe in the “My Fault is Past” spring premiere episode of EMPIRE airing Wednesday, March 13 (8:00-9:00 PM ET/PT) on FOX. @2019 Fox Broadcasting Co. CR: Chuck Hodes/FOX. 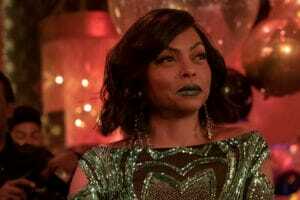 EMPIRE: Taraji P. Henson in the “My Fault is Past” spring premiere episode of EMPIRE airing Wednesday, March 13 (8:00-9:00 PM ET/PT) on FOX. @2019 Fox Broadcasting Co. CR: Chuck Hodes/FOX. 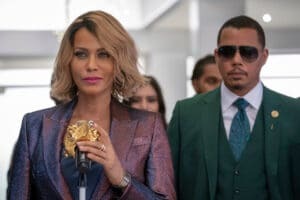 EMPIRE: L-R: Nicole Ari Parker and Terrence Howard in the “My Fault is Past” spring premiere episode of EMPIRE airing Wednesday, March 13 (8:00-9:00 PM ET/PT) on FOX. @2019 Fox Broadcasting Co. CR: Chuck Hodes/FOX.